Canada will be without injured captain Scott Arfield and veteran Will Johnson and it doesn't look like teenage phenomAlphonso Davies will be available either for Sunday's game against French Guiana in CONCACAF Nations League qualifying play. "After the game it flared up a little bit," Herdman said in an interview. "It's been enough for Bayern Munich to put [up] that level of caution and try and hold him back." "We'll still wait on Alphonso," he added. "We're still gathering information. But at this stage he won't be released from his club until everything's clear on the [medical] steps that they have to take and we have to take … It could be a bit of a waiting game for a couple of days to get full confirmation but the prognosis wasn't good." 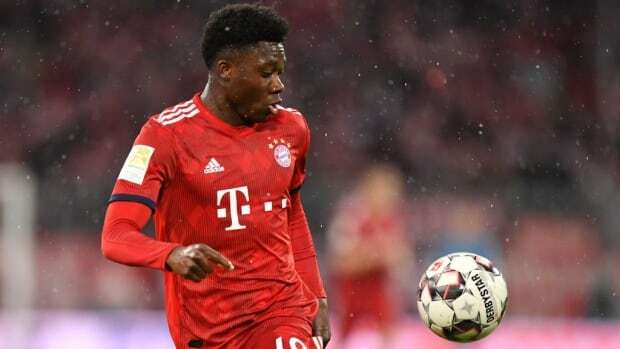 Davies, an attacking midfielder with nine caps for Canada, joined Bayern from the Vancouver Whitecaps in a then-MLS-record $ 22-million US transfer. The deal was consummated in July but Davies closed out the MLS season before joining Bayern in January.